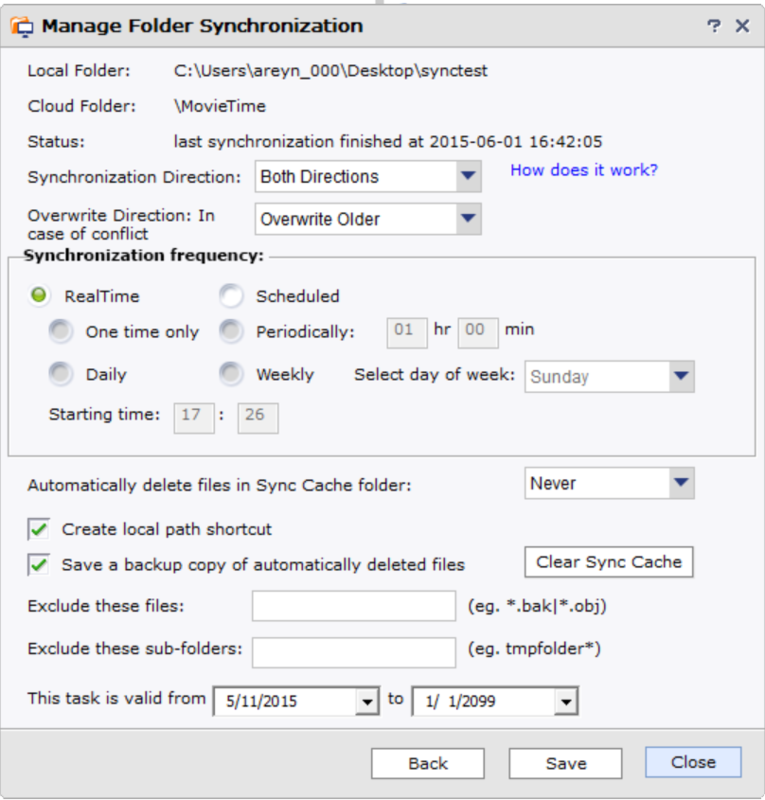 Synchronize local folders with the cloud using DriveHQ's FileManager sync service. DriveHQ's FileManager software will allow you to create customized sync tasks to particular cloud and local folders. There is no limit to the number of synchronization tasks you can setup. Schedule sync-tasks to run when you want them to. Create real-time, daily, weekly, or periodic sync-tasks, control when the tasks expire, and even set particular file or folder exceptions. Progress and Event Log options allow you to review any completed or existing sync-task. If there is an issue with the sync task, the event log will help identify the issue. When you create a sync task, any existing shares will be applied to the group remote file server. The changes will immediately be available to your shared users. Manage sync tasks on the go with DriveHQ's mobile FileManager app. Backup photos, videos, and other mobile data directly to DriveHQ in real-time or at your own schedule.